Forget being close to the ski fields, what I want to be close to in a Canberra winter are our local truffle growers. 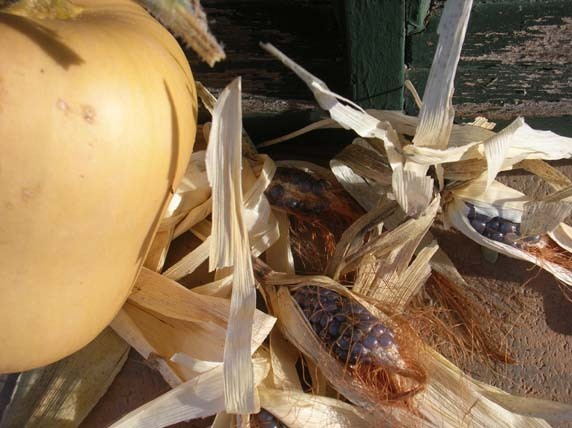 Last weekend we went to the Capital Region Farmer’s Market at EPIC to buy some of those very fragrant fungi. What was also good was to see that there were two truffle vendors at the market last weekend Turalla Truffles and Terra Preta Truffles. We’ve been buying and eating truffles for several years now so we were quite happy to pay for our 20 grams worth from the Terra Preta stall. We paid $2.50 per gram, a slightly lower price than we’ve paid previously. So what do you do next? To make the most of your truffles you need to focus on their aroma. Don’t try and use them straight away, you will be wasting your money. 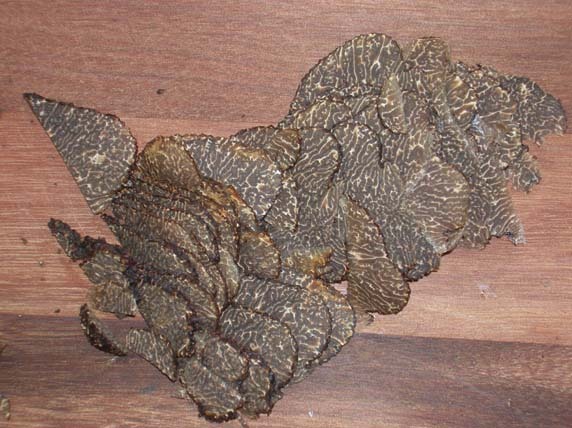 Any food item you choose to pair your truffle with needs time to absorb the truffle’s aroma. 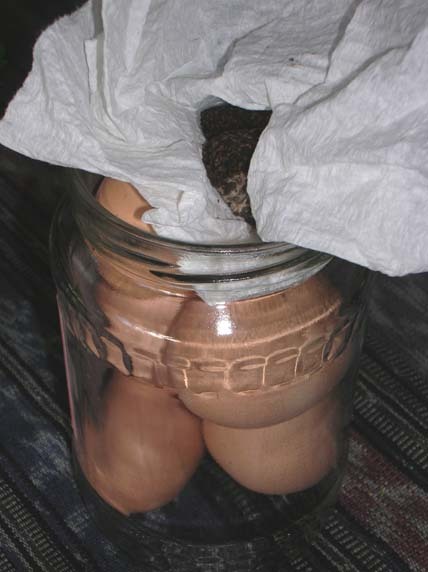 A good first step is to take your truffle, wrapped in its piece of paper towel and seal it in a glass jar with some eggs, then spend some time deciding what you will use your truffles for. 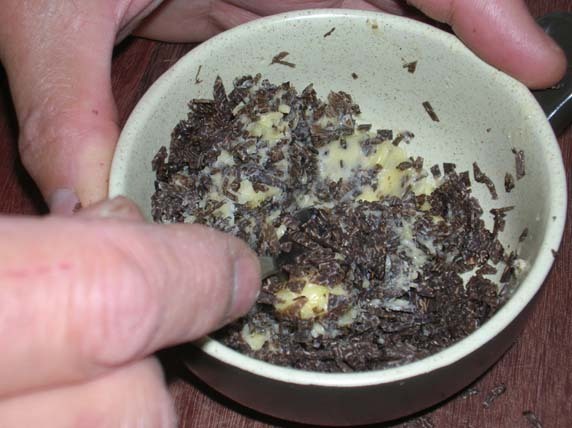 You could likewise store your truffle with some rice as the base for a truffle aroma-ed risotto. The truffle aroma will infuse the eggs through their shells, so leave the eggs and the truffles together at least overnight, or up to 48 hours if you can hold out that long. 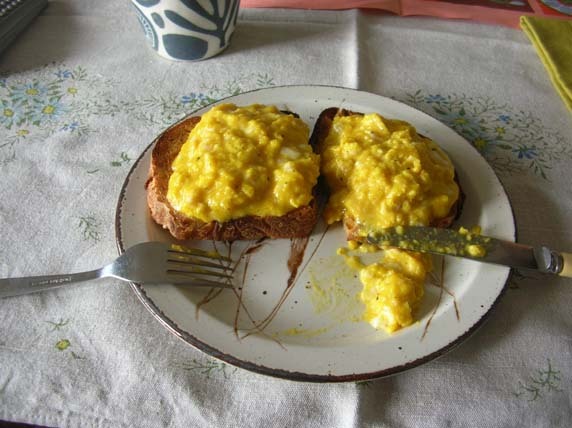 We usually make truffle-infused scrambled eggs our first truffle dish each year. You don’t need to put any truffle in the eggs as the eggs will have plenty of flavour already, but you can grate some truffle on top as a garnish. This way you can use your eggs and keep the truffle for another dish. This year we were able to use our own hens’ eggs to make this Sunday brunch treat. I was really keen to make some truffle sausages so while we were at the markets we bought some pork shoulder from the Inglebrae stall. To try and make sure we got the best value for our truffle TB first cut the truffle very finely and then mixed it with butter. This was left to rest and infuse while TB prepared the pork meat for the sausages. We used Matthew Evan’s recipe for the sausages. Sadly we only had 20 grams of truffle not 200 grams as Matthew used. Because we had the 2 kilos of pork we used only 200 grams of sausage mix with our truffles, then turned the remaining pork into pork and fennel sausages. 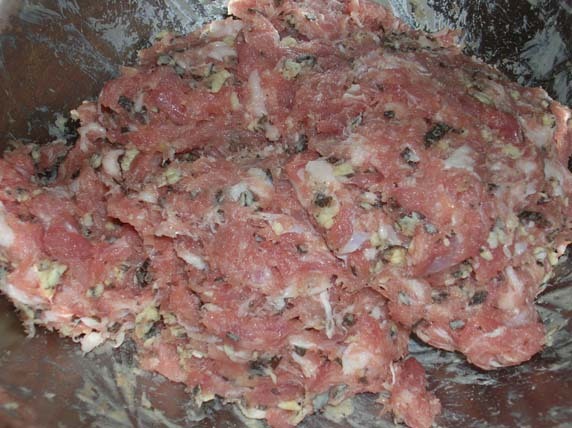 TB mixed the truffle butter into the pork mix and then left it to rest for several more hours before forming the sausages. We ended up with 8 truffle sausages from our mix. We were really strong and scheduled our truffle sausage eating session for the following evenings’ meal. 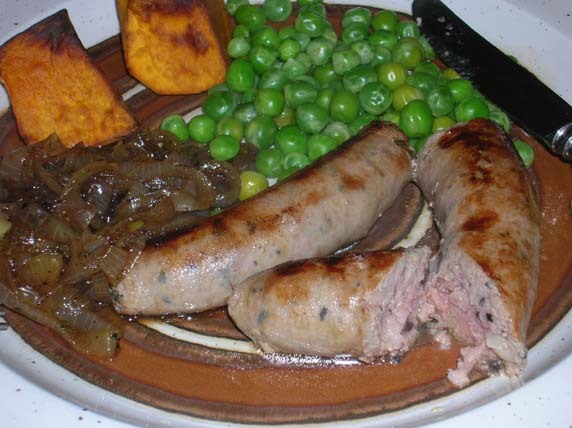 It was definitely worth the wait as the flavour was rounded, nicely developed and could be tasted throughout the sausage. Now all we have to do is decide how long we will hold out eating the other truffle sausages currently stored in our freezer. One year and 528 eggs later! It has been one year since our chooks laid their first egg. In that time the three ‘girls’ have laid 528 eggs, or a very neat 44 dozen eggs. On her arrival our Ancona Artemesia, took over leadership of the flock and laid our very first egg. 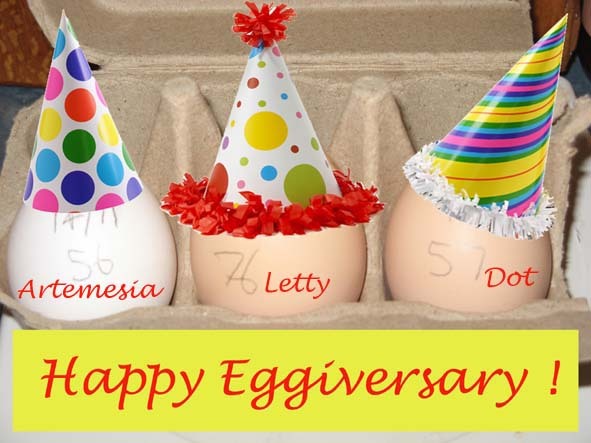 Letty the Leghorn weighed in with the largest egg at 100 grams; while our ever reliable Australorp Dot has been our most consistent layer and produced the greatest number of eggs. 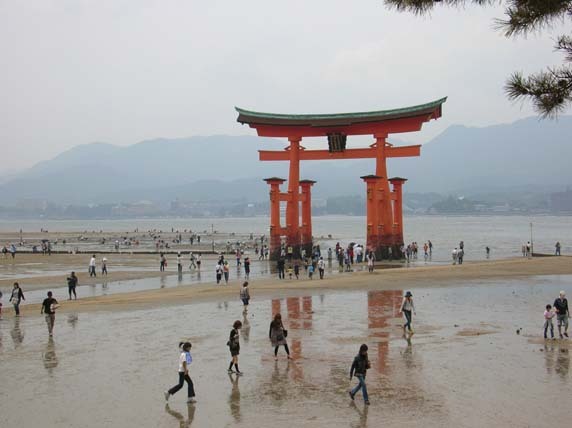 When we were in Japan in 2009 we visited the island of Miyajima, home of the Itsukushima shrine and its ‘floating’ torii gate. I say ‘floating’ because at low tide the gate is most decidedly sitting on the mudflats. Sorry to deflate your balloon. Low tide at Miyajima, Itsukushima Shrine. By the way, those people out on the edge of the tidal flats are actually searching for pippis, not worrying about sightseeing. 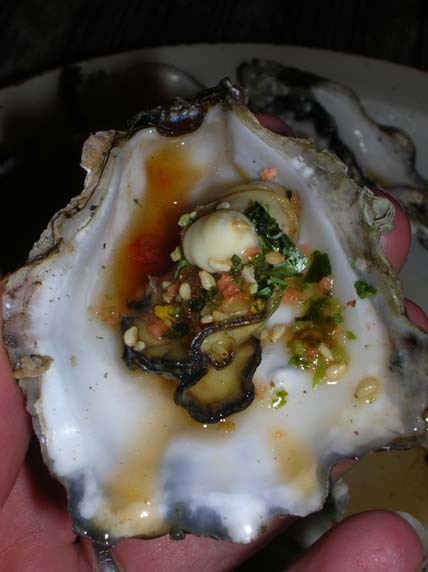 So what is the connection with oysters? 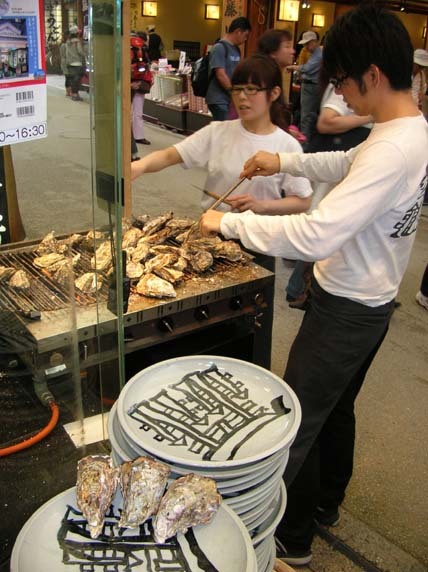 Oysters are a specialty of this part of the Inland Sea. So it was an easy choice for us to opt for a feed of oysters the day we visited the island. After our oysters ‘au naturale’ entree, we had more oysters. 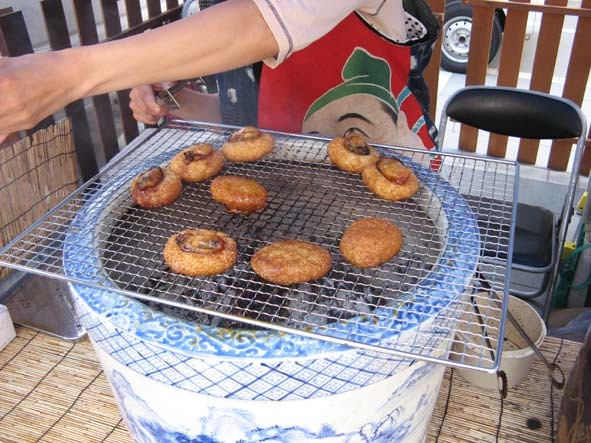 This time they were grilled outside the restaurant over a bed of charcoal. Great flavour and love those plates! I was coming home on Tuesday when I saw a truck selling oysters from the south coast. Did I mention that I love oysters? Sydney Rock oysters, a native Australian species, are my favourite, although, as you’ve seen already, I can be persuaded to scoff just about any oyster that comes my way. We debated how we were going to eat the oysters, particularly as they were still in their shells. Even when you know how to shell oysters the task can be onerous. No worries, we think “Miyajima!” and decide to save ourselves the effort and let the heat of the grill do the work for us. First TB made a dressing by combining sushi seasoning, some mirin and hon dashi, a powdered stock of seaweed and shaved tuna; heating it for 10 seconds in the microwave so it was just warm enough to dissolve the hon dashi. Once the oysters opened under the heat of the grill they were dressed with the sauce, some rice seasoning sprinkles, sesame seeds, finely chopped seaweed and a dollop of Kewpie mayonnaise. 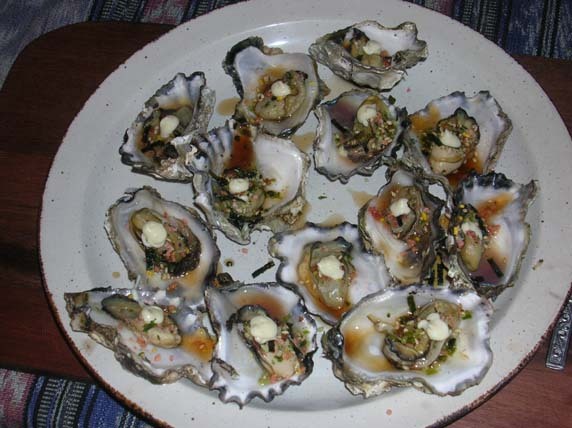 A plate of Sydney Rock oysters from the Clyde River, served with a Japanese-style dressing. They tasted great, but didn’t hang around for long! I just remembered. 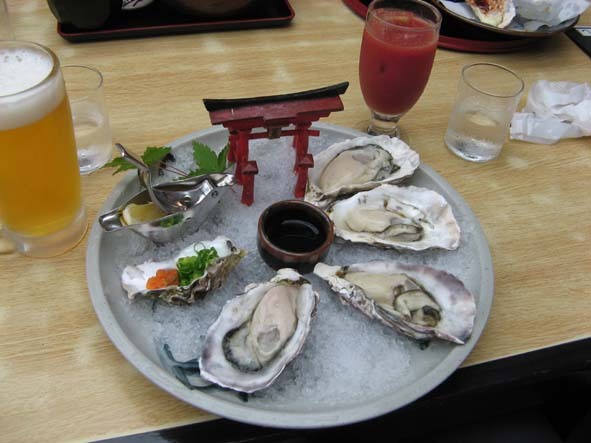 The last thing we ate before boarding the ferry back to Hiroshima after visiting Miyajima was, YES, more oysters! It feels good to have worked in the garden today. and found some unexpected bounty among the spent plants. 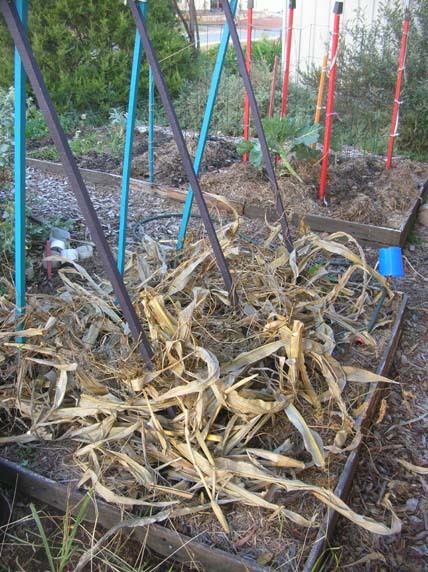 I was going to leave what was left of the corn plants on the bed. 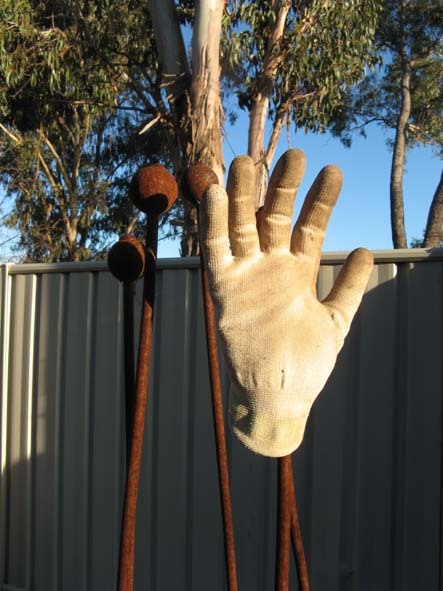 This would have protected the scarlet runner bean plants from the frost. But then I decided it would be better for the soil if I planted another crop there instead. 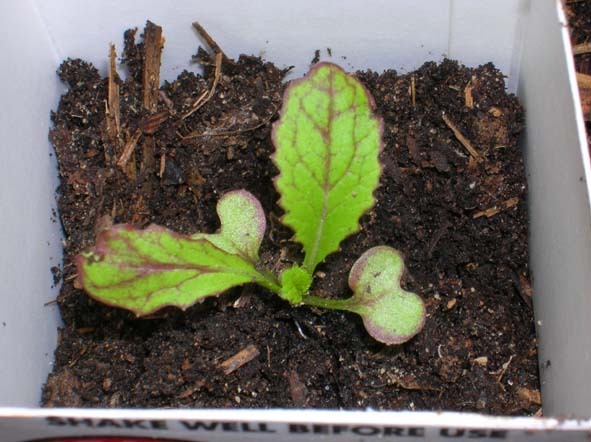 The red colouring in this seedling will become more obvious in the mature plant. I welcome its colour in my garden. Apart from tasting very good the other reason I was keen to plant the red mustard is that as it grows it will release compounds that naturally suppress soil pests and pathogens. All the better for my garden bed ‘s next crop. 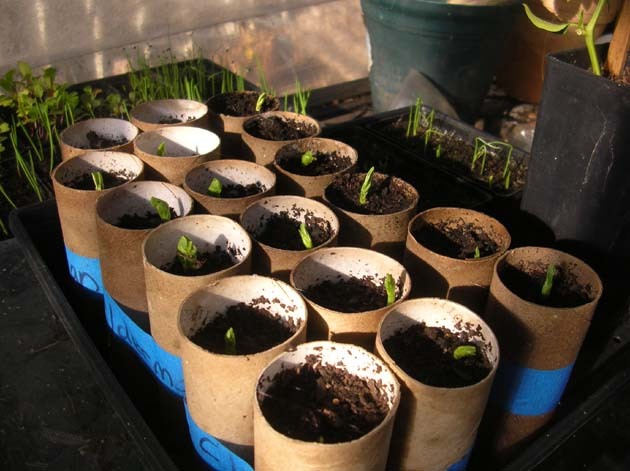 I also managed to plant out my last batch of pea seedlings. These plants are Massey Bush peas. They have been slow to germinate and I’ve had quite a few that haven’t shot at all. I think that the seed may have been a bit old. Before planting the seedlings I dug some blood and bone into the soil and found about 10 white curl grubs (larvae of Scarab beetles) which were greedily eaten by the chooks. Talk about natural pest control. Having worked for several hours it felt good to go and relax in a hot bath. My black hen, Dot, has been the mainstay of our chook pen since the start of April. She is the only one of our three chooks who is laying eggs. 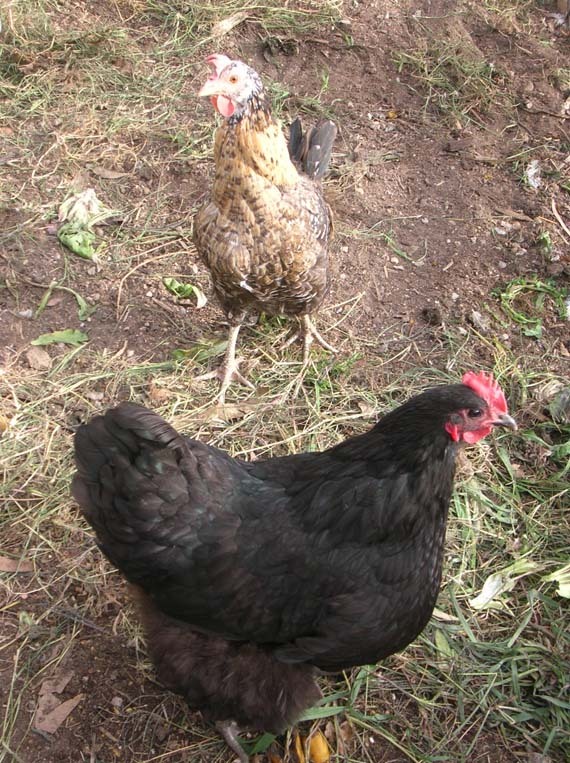 Dot, the Australorp in the foreground, with our Ancona hen, Artemesia, in the background. The other two hens have been moulting. There are feathers everywhere and pale and drooping combs. We are hoping that one of the others will start laying again soon so Dot can have a break. Today I planted peas. Climbers and clumpers, which will produce purple pods and green. 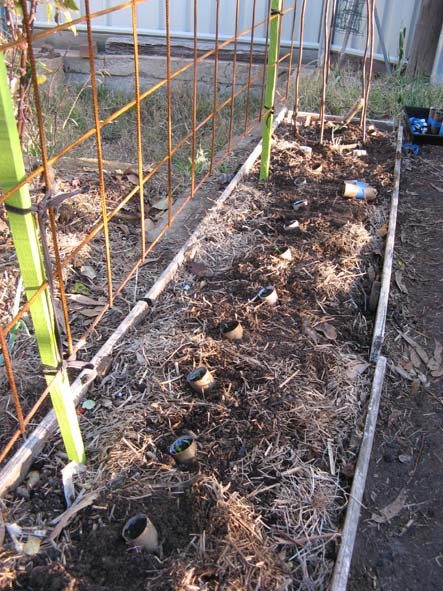 Snow peas are planted at a slight lean to encourage an early connection with the trellis. Happiness is a garden job completed.